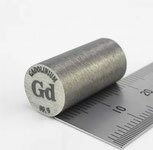 Samarium is one of the rare-earth metals, also called lanthanides, it has some very special applications, e.g. in lasers and for magnets. It can easily change between the oxidation states II and III, where it has a very strong red and respectively yellow color. High purity Samarium metal dendritic pieces, element 62 sample of 1 gram in glass vial. 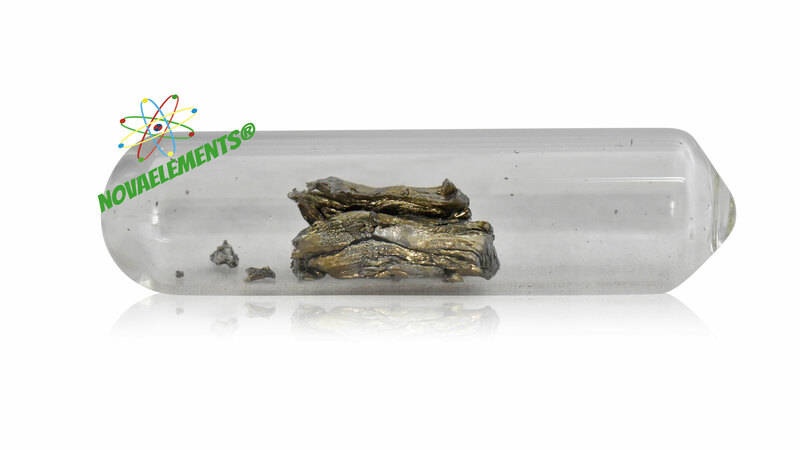 Pure Samarium element sample.